This Benchmarking Study Report includes responses from more than 100 organizations about how they are using (or plan to use) technology to enable GRC processes. 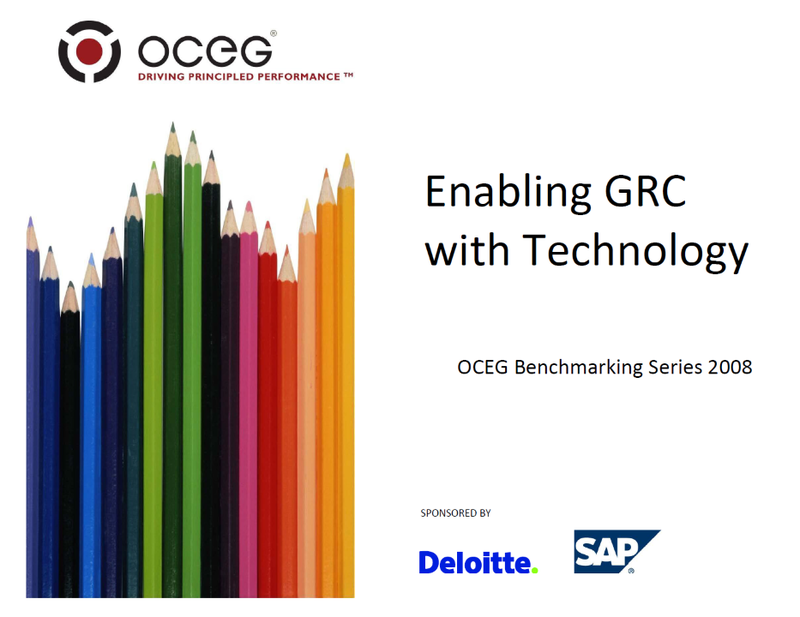 We have emailed instructions to access 2008 GRC Benchmarking – Enabling GRC with Technology to . Make sure the email arrives in your inbox: either add "support@oceg.org" as a safe sender to your email platform, or if you use Gmail, drag our email into your Primary tab.